Today Mayli stayed home to take care of her mother, while I went to visit Alejandra at her “casa del arbol” (the house on the tree). 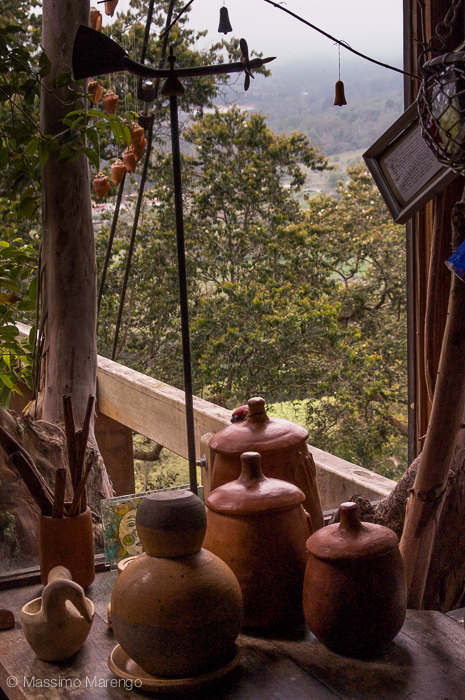 She lives in a small little house near Merida, which is built around and on top of a tree. The tree grows from the center of the house, and exits from the roof and the windows. There even is a small natural cave in place of the "basement" of the house, nested in between the roots of the tree. We talked again a lot (Alejandra was my office-mate when I was in graduate school in Trieste), and I am very happy to be able to spend some time with her in the rare occasions that this is possible. The “casa en el arbol” is inside the garden of a larger house, which is owned by very interesting and nice people. One of their sons was also a physicist, but left the profession to become a cook, and is now the most famous chef in Venezuela. 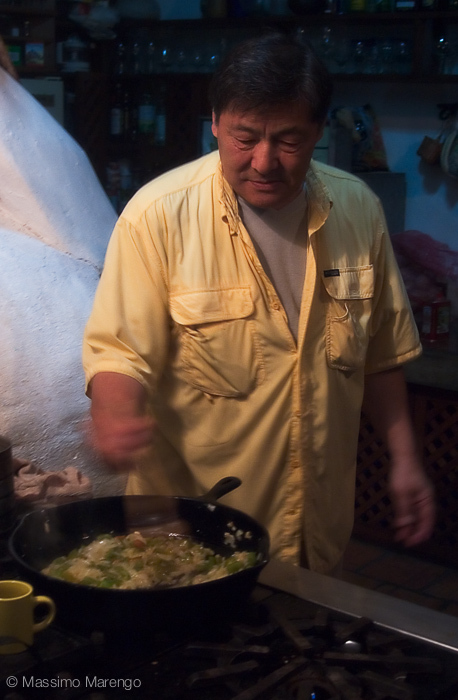 He wasn't there today, but I still had a very good dinner, a “paella”, the spanish dish cooked by an argentinian architect of japanese origins that is working in Chile and spending his vacations here in Venezuela (he is the one in the photo above). After dinner we played with old wooden games and toy kaleidoscopes of all shapes. You can actually follow Sumito's blog here.